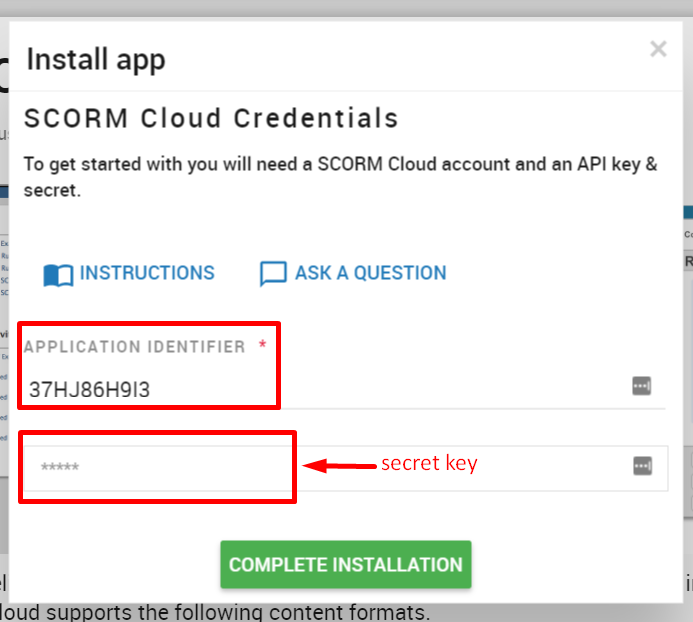 Step 2: Find the SCORM Cloud app under "Activity apps"
Take note of the name of this app. You will need to know it for when you upload content. "Initial Application for Nick's Realm"